Milpark Education is recognised as a leading private provider of niche qualifications in the areas of management and leadership, financial planning and insurance, and banking via distance and contact learning. A variety of Higher Education (HE) and Further Education and Training (FET) qualifications as well as career-focused short courses are offered. The higher education qualifications start at NQF level 5, extend into levels 6 and 7, and culminate in the Master of Business Administration (MBA) at NQF level 8. Our programmes are aimed at employees who need further qualifications to improve their skills and enhance their careers, entrepreneurs requiring business management skills and school-leavers seeking tertiary business qualifications. Milpark’s qualifications are offered via distance learning (DL) and via contact learning (CL) from the Melville Campus in Johannesburg and the Claremont campus in Cape Town. Short courses are also offered in Cape Town and Durban. Workshops can be customised and delivered at client premises. Milpark programmes are available via both contact learning (face to face, classroom-based tuition) or via distance learning (students receive the learning material and are supported either through workshops, or through tutor contact). Distance learning offers the student flexibility so that s/he is able to study after hours. This method of study is ideally suited for students who are also employed. Distance learning students are provided with course materials designed to guide them through the concepts and skills to be acquired. In addition, we have an extensive Tutor Support network to assist with study-related queries. Full-time study means that students attend classes on a daily basis during the day. Thus the full-time students are not usually employed and, as they are either recent matriculants or school leavers, are able to attend classes daily on a full-time basis for the number of years required to complete the degree. Part-time students are usually employed and so generally tend to be able to complete fewer modules over a longer period of time. Most part-time students choose distance learning programmes as this mode allows for more flexibility. Milpark Education (Pty) Ltd is registered as a private higher education institution with the Department of Higher Education and Training (DHET) under the registration number 2007/HE07/003. 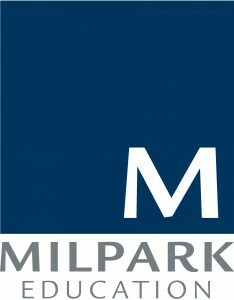 Milpark is also provisionally registered until 31 December 2015 as a Private Further Education and Training College under the registration number 2009/FE07/058. All Higher Education (HE) programmes are accredited by the Higher Education Quality Committee (HEQC), a permanent sub-committee of the Council on Higher Education (CHE). Lastly, Milpark is provisionally accredited by Umalusi, the Council for Quality Assurance in General and Further Education and Training (accreditation number: FET00665PA).